World leaders have been in Davos this week. Terror attacks, geopolitical turmoil, volatile stock markets – it’s fair to say the year has got off to a bumpy start. But what will the rest of 2016 hold? 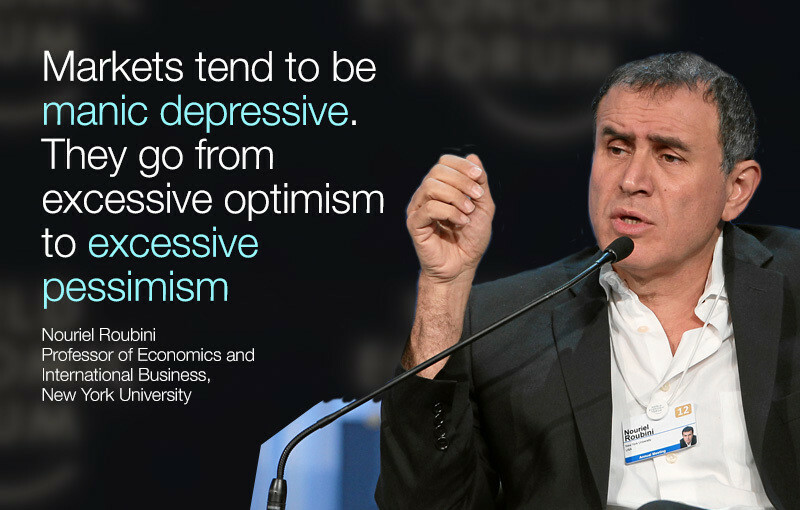 While it’s notoriously difficult to make accurate predictions, some of the leaders in Davos had a go. Here’s what they think the next 11 months might look like. IMF Chief Christine Lagarde made a similar prediction: as China continues with its economic reforms, growth might slow down slightly, but will probably still hover around 6.5% – a perfectly reasonable rate, she added. After decades of what seemed like intractable conflict, the year 2016 could see peace in Cyprus, the divided island’s leaders announced during a special address in Davos. Nicos Anastasiades, the president of Cyprus, told participants that this year would be a crucial one in the push for peace: “These are decisive times for Cyprus, the wider region and the world.” Mustafa Akinci, the Turkish-Cypriot leader, agreed: “We are working tirelessly to achieve a mutually acceptable solution,” he said, adding that “we need to work together to make 2016 the year marked by a Cyprus agreement”. Last year saw an unprecedented number of migrants leave war-torn and poverty-stricken countries and arrive in Europe. Leaders on the continent have so far failed to get a grip on a crisis that seems to be going from bad to worse. “In the first three weeks of this year, there were 35,000 crossing the sea from Turkey into Greece. Last year it was only 1,600 in the full month of January…We cannot cope with these numbers,” Mark Rutte, the prime minister of the Netherlands, told participants. The collapse in oil prices is "irrational", Khalid al-Falih, head of Saudi Aramco, the most valuable company in the world, told participants in Davos. 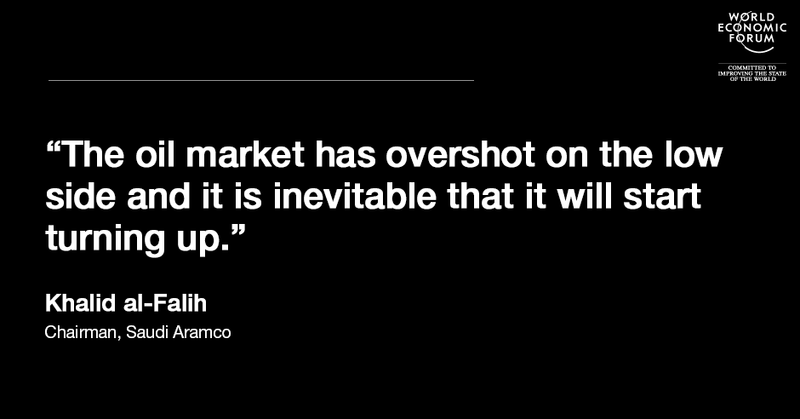 Even if oil-producing companies keep production high, there is only one way the price can go in 2016: up.